. Welcome to the most complete Classic Fantasy RPG and Adventure archive on the 'net. For completely nostalgic purposes, we have carefully compiled lists of all pre-1990 computer adventure and RPG games that could be found, as well as adventure and RPG gamebooks from this era. We have collected (thanks eBay!!) as many of these as possible (and still going strong). Here we provide, for your viewing pleasure, the complete collection of games, boxes, books, posters, etc. While we have tried to include every book series and computer game that could possibly considered adventure or RPG-like, there are definitely things we have left out. If one of your favorites is not found among these pages and not still on the Wantlist, please let us know and, unless we have specifically left it out for some reason, we will add it to the Wantlist. IMPORTANT: please do NOT write us to ask for game hints or solutions, or for games, unless it is in the Museum Shop and you want to buy it. We will not make copies of games for anyone. In special cases where the item is exceedingly rare, we may be willing to make exceptions however. Many books can be found on eBay or Bookfinder. All names used on these pages are copyrights and trademarks and/or registered trademarks of their respective owners. Use of names without the TM or © designation are not intended to be challenges to their copyright or trademark status. All game images on these pages have been taken by the museum curator with an Olympus C-3000 Zoom or Canon Powershot Pro 1 digital camera. All items you see here are owned by the museum. To the best of our knowledge, posting these images does not violate any copyright laws but we will gladly remove any images at the request of the copyright holders. Our purpose is simply to preserve our favorite games and books of the past, and to allow others to share in remebering these classics. All opinions stated are those of the author and you should feel free to disagree with anything and everything stated. 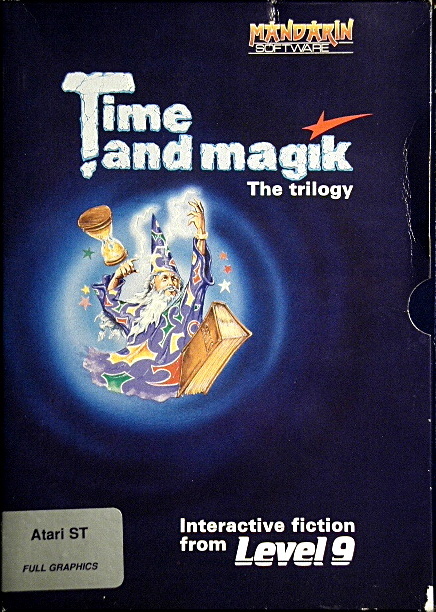 Note: This site was formerly the Computer and Book RPG/Adventure Museum located at http://vgmuseum.chaoticmonkey.com/. Please update your bookmarks and links.